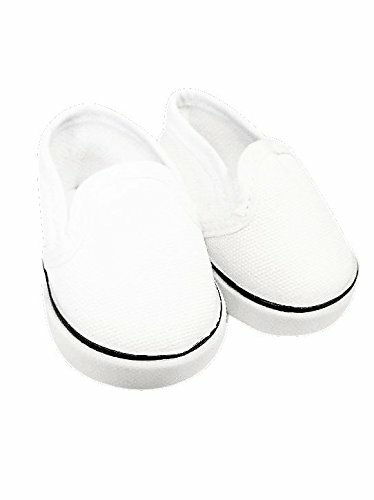 ❤ Super White Canvas Shoes - These performance tennis shoes for your little gymnastics enthusiast to dress up her dolls! Your doll will be decked out complete with 18-inch tennis shoes to score top marks with the judges. For Girls of All Ages – Toddler and young girls alike will covet this sporty pair of shoes. 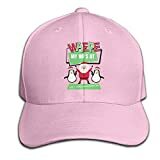 It's the perfect gift for all occasions, Christmas, Birthdays, Easter, Valentines Day, Mother's Day and Halloween. These white canvas doll sneakers are a classic style! Whether your 18 inch doll is going to school, playing with a friend or walking around town, she can't go wrong with these white lace up sneakers! These realistic looking sneakers will be a wonderful addition to your 18" doll's wardrobe! 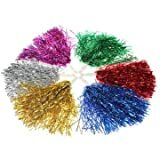 Metallic Cheerleader Poms Dance Party Welcome Costume Streamer^.